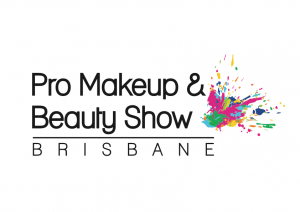 Belmacil Lash and Brow Tints and Elleebana products are proud to be exhibiting at The Pro Makeup & Beauty Show which is a must-attend event if you are a salon owner / professional makeup artist/beautician/academy teacher or student. This will be a fantastic opportunity for you to experience firsthand, the latest and newest beauty/makeup trends. If you are wanting to expand your knowledge, there will be award-winning educators both Australian and International, offering an array of speciality classes. There will both free look and learn presentations as well as investment education. If you are a lover of beauty/makeup you will need to feel the buzz of a trade show floor with many exhibitors offering their latest products for purchase. Two fabulous new treatments that you can add to your menu that boosts your profit and brings you returning clients. Our informative, hands-on and fun workshops use mannequin heads and live models so you can master the lash pick up and swipe technique before you master your separation. We cover product knowledge, Health and Safety standards, Contraindications, Application, Removal, Infills, Profit and Styling tips all in the one class with the requirement for your submission of three before and after photos before your certificate is issued. All items sold in the kits are available for purchase through our agents and are sold separately.